Jason Shankey Male Grooming opened in Belfast in 1997 and was the first male emporium in the UK. Jason Shankey Male Grooming opened in Belfast in 1997 and was the first male emporium of it's kind. Now enjoying a reputation as one of the UK's finest male grooming businesses, it provided the blueprint for the expanding Jason Shankey Male Grooming & Lifestyle club phenomenon. Operating as a new generation of gentleman's club, Jason Shankey Ballyhackamore and Lisburn Road offer a full range of premium styling, grooming and lifestyle services including hairdressing, hot towel shaves, massages, face & hand treatments. 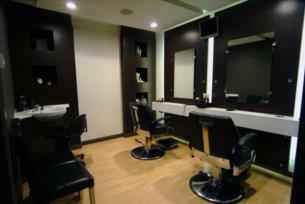 Combined with state of the art audio and visual technology, Jason Shankey's Belfast salons are a haven of cool. For further details and to book online, please visit www.jasonshankey.com.